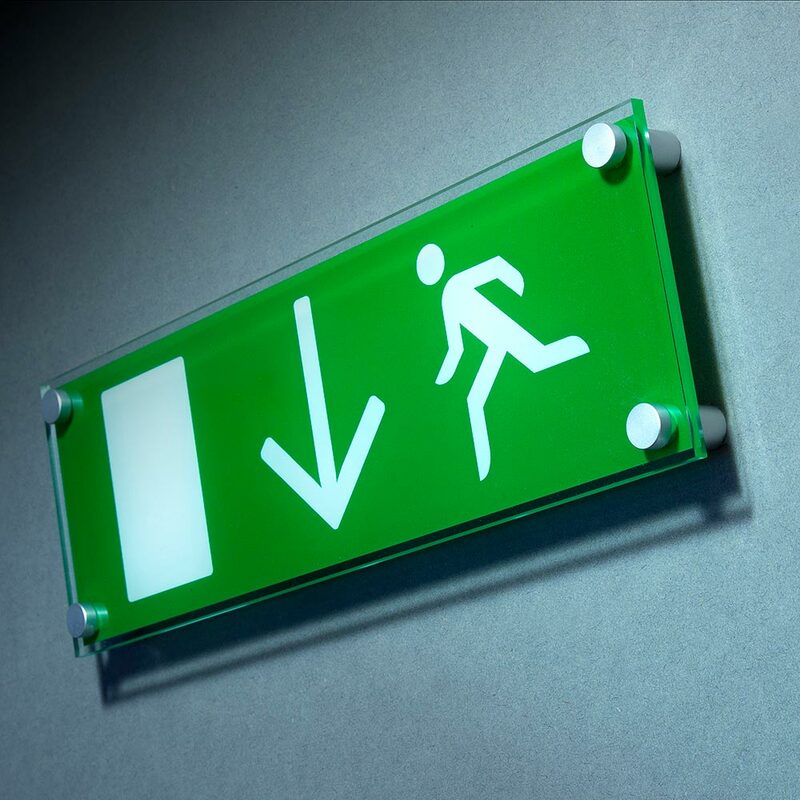 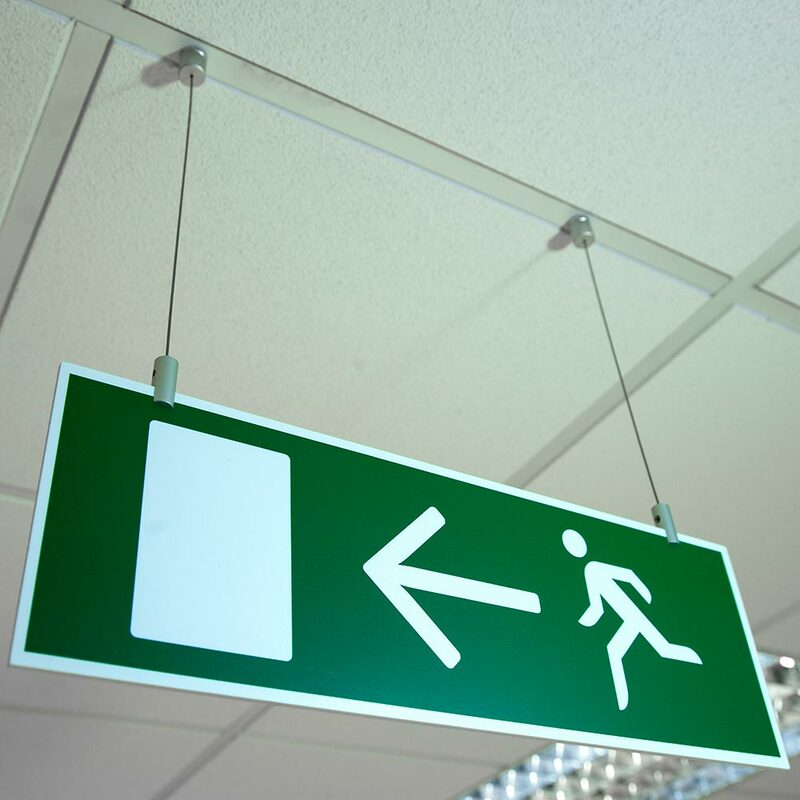 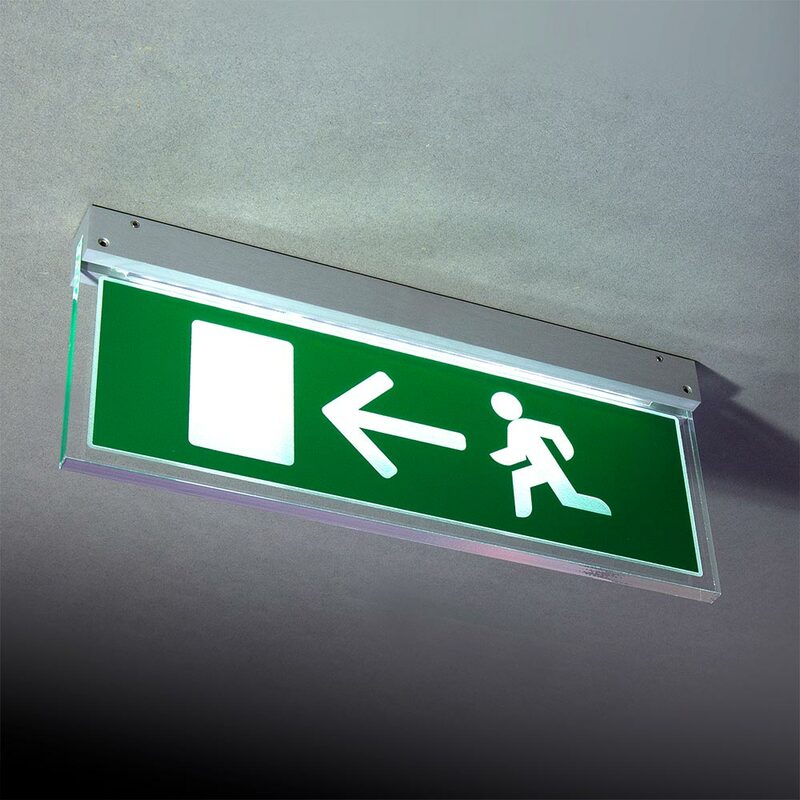 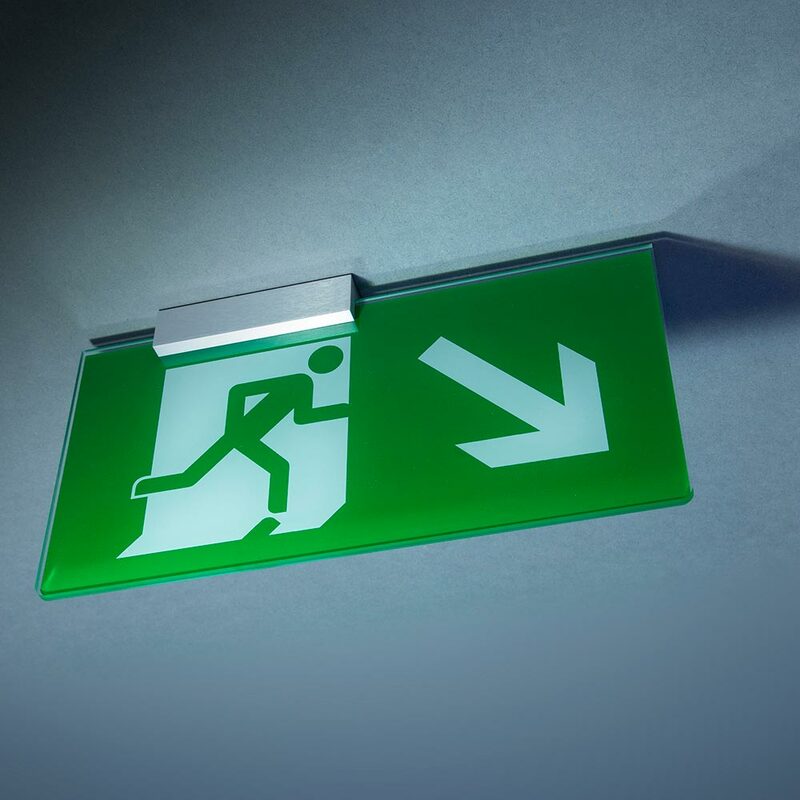 A cost-effective range of Fire escape signs, designed to clearly identify emergency exits and escape routes, with empathy for modern architecture. 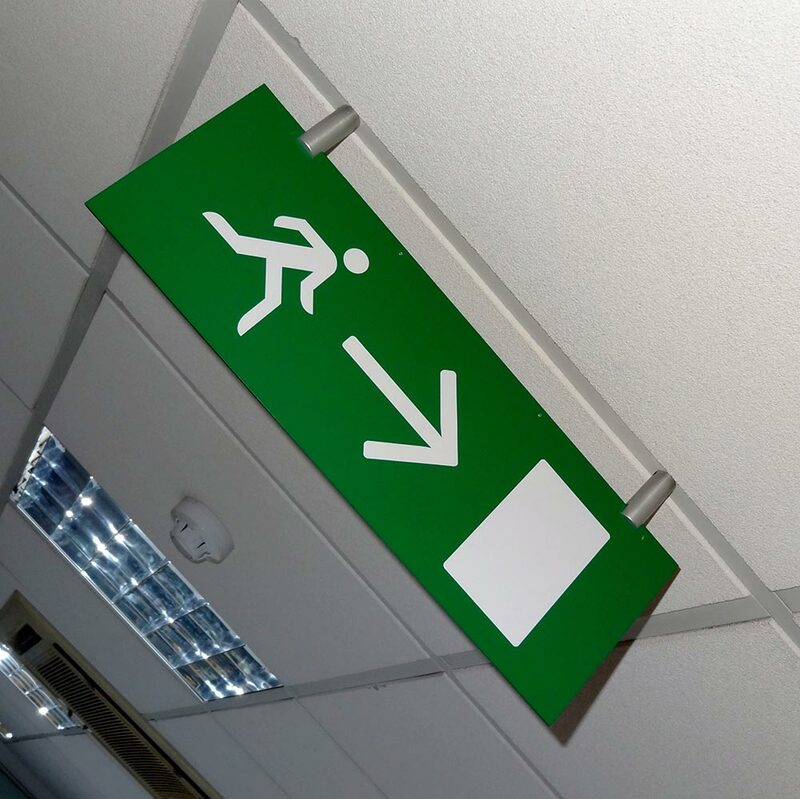 Conforming to EC Directive 92/58/EEC, these signs are manufactured from a screen printed rigid 5mm thick white Foamex panel and suspended with a pair of satin anodised aluminium cable fixings. 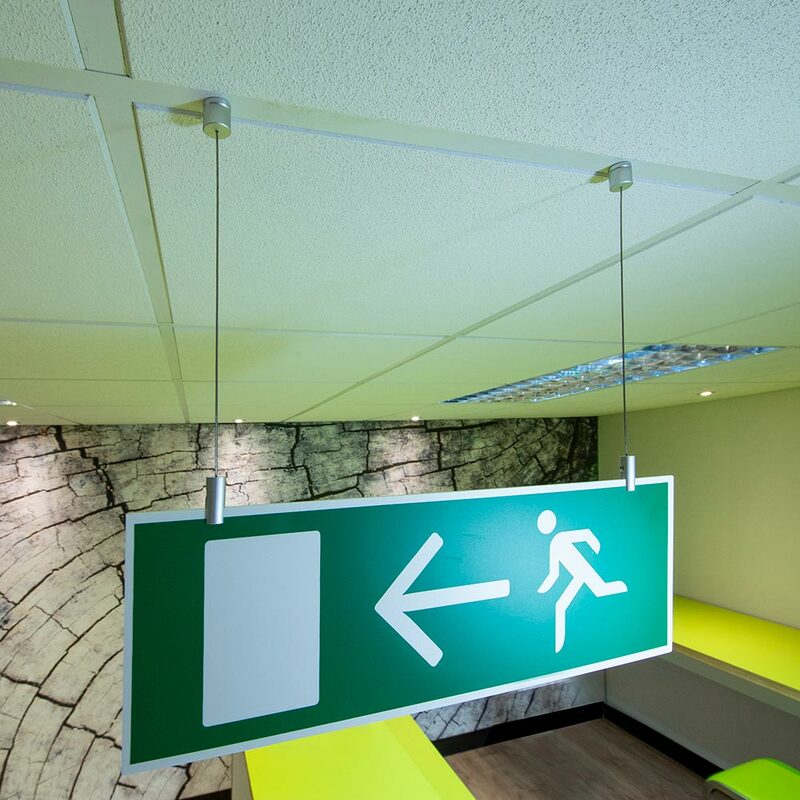 Signs are ceiling fixed with a suspension kit comprising 2m x 1.5mm steel cable and a pair of saa ceiling fixings and panel grips. 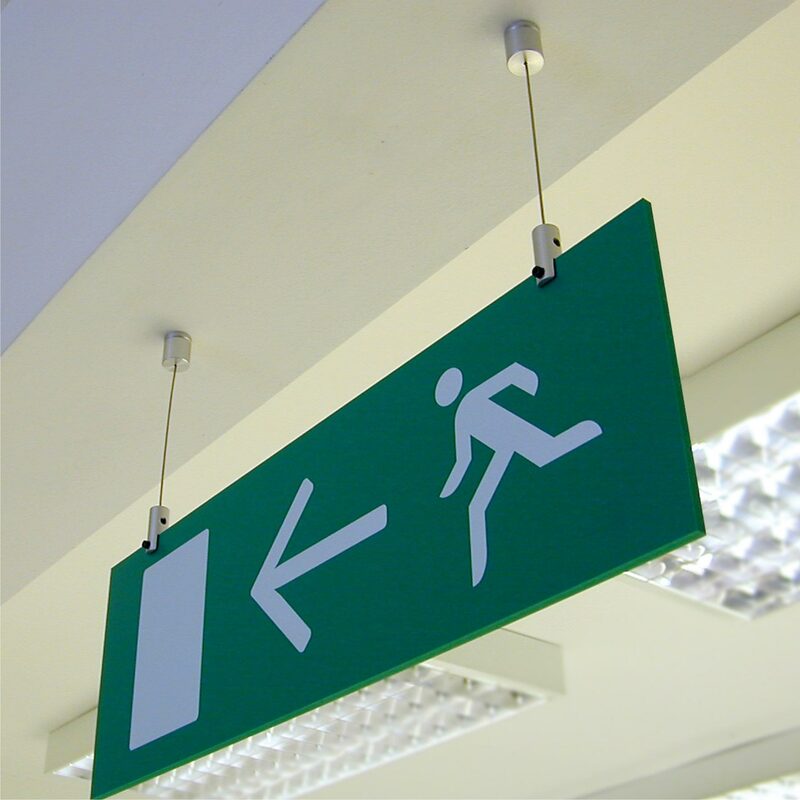 Signs are available with printing on one or both sides and in various sizes.